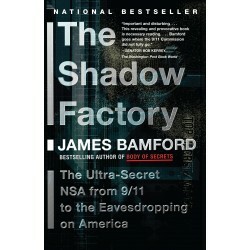 In THE SHADOW FACTORY, Bamford shows how the NSA’s failure to detect the presence of two of the 9/11 hijackers inside the United States led the NSA to abandon its long-held policy of spying only on enemies outside the country. Instead, after 9/11 it turned its almost limitless ability to listen in on friend and foe alike over to the Bush Administration to use as a weapon in the war on terror. 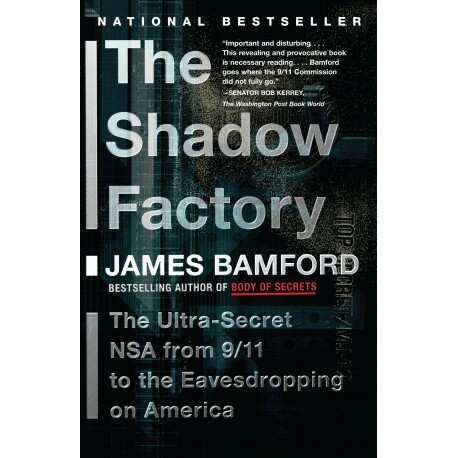 With unrivaled access to sources and documents, Bamford details how the agency has conducted domestic surveillance without court approval, and he frames it in the context of the NSA’s ongoing hunt for information about today’s elusive enemies. THE SHADOW FACTORY is a riveting read for anyone concerned about civil liberties and America’s security in the post-9/11 world.